On March 31, 2014 MOD released a RFI for Image Intensification (II) based Weapon Sight for 7.62mm Light Machine Gun.The 7.62-mm LMG is being procured separately. 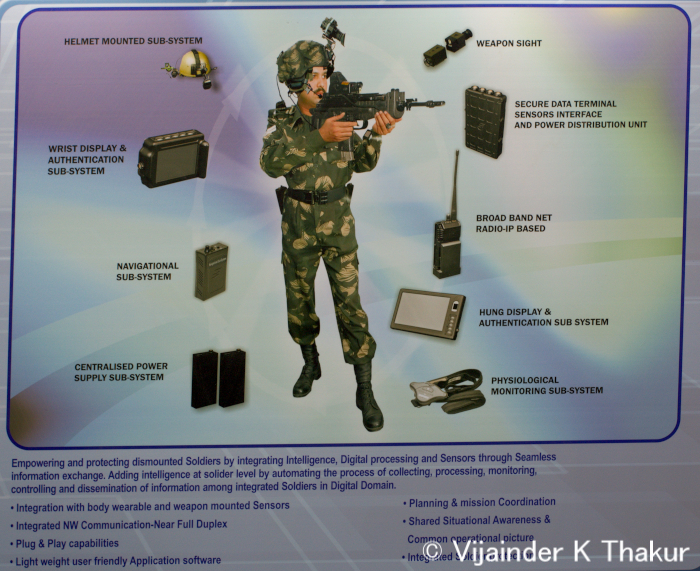 The Army wants a light weight, ruggedized II device that can facilitate engagement of human targets at night / hours of darkness / poor visibility at the effective range of 800-m and above. Procurement of the sight and LMG are being made under the Army's F-INSAS project. Earlier on February 27, 2014, MOD released a RFI for Night Sight for 7.62mm Light Machine Gun (Thermal Imaging). The Uncooled Thermal Imaging Sight are required to be light weight and ruggedized to enable accurate engagement of human target at night / hours of darkness / poor visibility at the effective range of 800m and above. The Army had earlier released a similar RFI on December 9, 2011. On February 25, 2014, the Army released a RFI for Passive Night Sight (PNS) for Rifle AK-47. The requirement is for light weight, rugged, passive night sights based on Image Intensifier Technology that can be fitted on AK-47 rifles to facilitate accurate engagement of pin point target at night/ hours of darkness/ indoor dark areas.